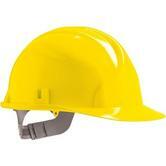 North Sea Workwear despatches same day for all our PPE Safety Equipment, throughout the UK. Personal Protective Equipment (PPE) is specialized protective clothing or safety equipment worn by employees for protection against health and safety hazards. PPE is often differentiated from workwear because PPE refers more to the safety head protection - respiratory protective equipment (RPE), eye protection, hearing protection as well as safety harnesses and fall arrest equipment and safety supplies,for example. 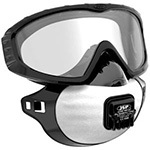 Personal protective equipment is designed to protect many parts of the body, i.e. eyes, head, face, hands, feet, and ears. Assess the risk: ie assess the Level of Danger x times the Likelihood of the safety breach occuring. Assess the protection needed. 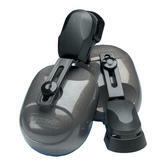 Typically, there is already existing advice from the QHSE and safety experts or HSE as to what PPE is most appropriate. Eg in the case of airborne risks, the Workplace Exposure Limits (WELs) is a very efficient, handy way to help you choose the level of breathing/face protection that you need. 1) What might affect your eyes? eg gases, irritants, sunshine (UV rays), splinters, sparks or shavings moving at high speed. 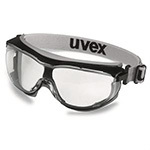 Use our Eye and Face protection range to choose your most suitable safety glasses, goggles, face visors and helmets. 2) What level or frequency or exposure to loud noises will affect your hearing? and over what period (dont discoutn the cumulative effect over the years!). 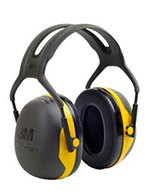 Use our 3M Noise Detector to determine the noise levels; Then choose your most practical, comfortable solution from the 100+ Hearing Protection options we offer. 3) What can harm your head? a safety helmet will mitigate the risk of falling debris; a zero hood or balaclava will protect your head and neck from the cold; an FR flash hood will protect your head from flame and heat. 4) What airborne contaminants can affect your breathing? respiratory protection equipment (RPE) such as disposable face masks, 3M half face masks and full face masks depends on the Workplace Exposure Limits (WELs) for the specific activity/location involved. 5) What safety harnesses, carabiners, retractable lanyards do you need for safe access and egress in confined spaces and working at heights? Our fall arrest PPE offers solutions from Capital, Honeywell, Miller and Uvex. 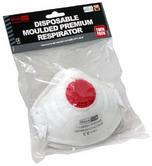 All our PPE is EN certified to the relevant standard.